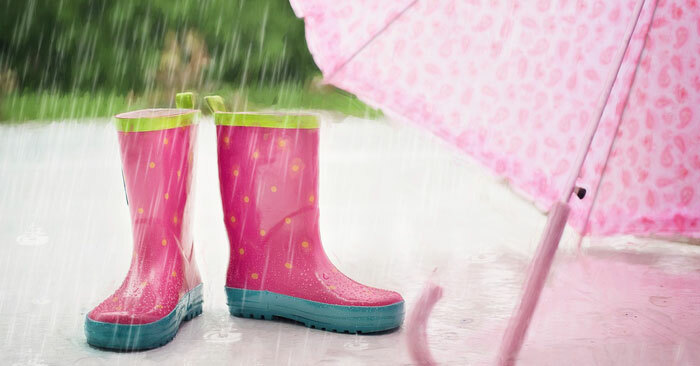 We love getting cozy with a good book and hot tea on rainy days, but when you add restless children and a hyperactive dog to the mix, it’s time to go into mom survival mode and find some fun, affordable ways to keep everyone entertained. 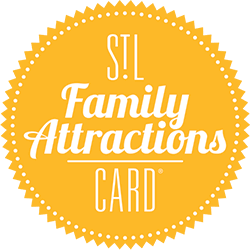 That’s why St. Louis Family Attractions Card is sharing 56 ways to keep the whole family entertained on a rainy day. Our list includes some suggestions that will get you out of the house, but if you prefer to stay in your PJs, we have plenty of ideas for indoor fun too! 1. Get comfy and read a family-friendly book that has a movie version. Watch the movie version afterwards and ask them which they liked better. Our picks: Cloudy with a Chance of Meatballs, The Lorax, The Princess Bride, Where the Wild Things Are, Alexander and the Terrible, Horrible, No Good, Very Bad Day, Charlie and the Chocolate Factory, Charlotte’s Web, The Jungle Book, Harry Potter or any book from the “Diary of a Wimpy Kid” series. 2. Get donuts at any one of the many local donut stores. St. Louis Public Radio did a recent piece on the 8 Best Doughnut Shops in St. Louis that’s worth a listen. 3. Go through all of those pictures you’ve been meaning to organize on your computer and revisit all of those fun family moments. Kids LOVE looking at themselves, especially when it they can see what they looked like when they were younger. Bonus idea: order prints of yours and the kids favorite photos and put together a photo album. 4. Write letters (on actual paper with actual pens and pencils) to out-of-town relatives or friends. 5. Use our free Family Attractions Card discount to get a Buy One Get One Half Off discount and see what’s new at the Magic House! 6. Get your rain gear on and have a rain gutter regatta. Afterwards, warm everyone up with hot cocoa! 7. Create decorations for an upcoming holiday with some seasonal arts & crafts projects. Decorate pinecones, paint flower pots, or make leaf art. Get started with these creative ideas. 8. Throw an impromptu Talent Show to discover your family’s hidden talents. If you have track lighting in your house, turn the lights to make the performers shine in the limelight! 9. Create a time capsule with handwritten notes, drawings and various items to be opened on a future rainy day years from now. 10. Take a nap with your kids. Snuggle time = time well spent. 11. Start an epic game of hide and seek in the house – last one found gets a prize. 12. Channel your inner pastry chef and bake a cake, cookies, or cupcakes. Be sure to taste the finished products. You know, for “quality control”. 13. Get every blanket, sheet, and pillow in your entire house and build a blanket fort so big, it will rival anything in Game of Thrones. 14. Pass the day with some fun games like Jenga, Candy Land, and Monopoly. Mix in some action games like Charades or Pictionary to keep everyone on their toes. 15. Update your wardrobe by gathering some old clothes and drawing on them with magic markers or sharpies. Have a fashion show afterwards to show off the new designs. Check out our 10 favorite attractions in St. Louis to spend a rainy day! 16. Vote on what’s for dinner and then have everyone play a role in preparing it together. 17. Take a trip to the Saint Louis Art Museum. Have each family member find their favorite piece of art and tell you what they like about it. 18. Teach your old dog a new trick. 19. Dig out that puzzle you’ve been saving and work together to complete it. 20. Find a video game that everyone enjoys and take turns playing together. 21. Two Words: Dance. Party. 22. These are the times when play-doh is a play-duh! Don’t have any? Make your own. 23. Find some old socks and buttons and make your own sock puppets – when everyone is finished, it’s time to put on a show. Finger puppets and paper bag puppets also work great! 24. Work together to write a story – start with “Once upon a time…” and switch writers for each paragraph to see where the story takes you. Your kids’ wild imaginations may surprise you. 25. Learn about the 1904 World’s Fair, the Spirit of St. Louis and other great St. Louis moments that made history at the Missouri History Museum. 26. Create an indoor obstacle course with challenges along the way and see who gets through it the fastest. 27. Put on a play. Use old makeup and clothing to play dress up and act out scenes from the kids’ favorite books or movies. 28. Take a series of fun, creative selfies with the whole family throughout the day and turn it into a rainy day photo album. 29. Cuddle up with a pile of books. 30. Learn, create, and inspire with these STEM apps for your tablet. 32. Make your own instruments; then, lead a marching band parade through the living room. 33. See the largest mosaic collection in the world at the historic Cathedral Basilica. 34. Check out an online camp (They’re not just for summertime)! 35. Anything that involves bubble wrap. 36. Make math fun with Hooda Math. 37. Play Keep it Up. Blow up some balloons, toss ’em in the air and don’t let them touch the ground. 39. Make a marshmallow catapult and see who can catch the most in their mouth. 40. Have domino races. Set them up and let them fall—kids will love seeing the chain reaction. Make it twice as fun by ordering the national pizza chain to deliver lunch! 41. Try your hand at colorful salt painting. 42. Organize an indoor scavenger hunt. 43. Pull out the building blocks and Legos and create a mini city. 44. Build an arch, simulate a space mission or check out an OMNIMAX movie at the Saint Louis Science Center. 45. Embrace your inner Einstein with cool science experiments. 47. Make a bird feeder. 48. Become an origami master. 49. Make shaving cream sculptures (in the sink of course). 50. Make your own granola bars. 52. Bowl at home using water bottles as pins. Go “Cosmic” bowling by dropping a glowstick in the bottle and play in a dark hallway. 53. Learn a few magic tricks. 55. Get all dressed up and host your own fancy tea party (be sure to invite the dolls and stuffed animals). 56. Have an indoor “camp out” with sleeping bags, a tent, board games and s’mores. 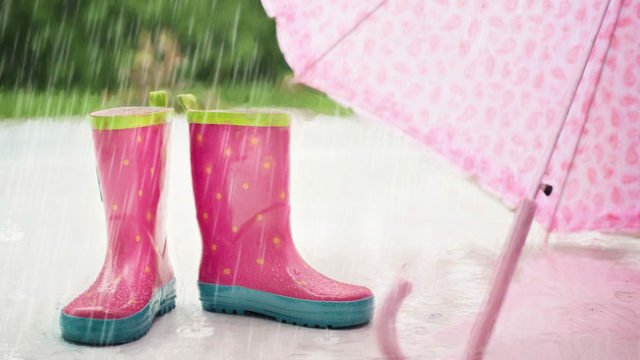 Say goodbye to boredom when you grab a handful of these fun activities on a wet, rainy day. Spending time with the family is what it’s all about so cut loose, have fun, and make a mess if you have to. After all, rainy day activity #57 can always be to clean up after yourself! Looking for more places to go to on a rainy day?